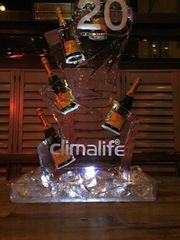 Climalife UK - IDS Refrigeration 20 years! IDS Refrigeration - 20 years! 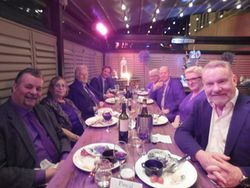 IDS Climalife staff celebrated the 20 year anniversary of IDS Refrigeration Limited this month, hosting a celebratory dinner at Cadbury House just outside Bristol. The Bristol team were delighted to be joined by the full Climalife Dehon Directorship team including brothers Pierre-Ettiene and Pascal Dehon who each shared their words of thanks for the excellent company performance, motivation and teamwork over the last 20 years, and their support for continued growth in the future. “Working together we have a great future ahead of us” said Pascal Dehon. “Time has gone so fast and we’ve seen spectacular growth” said Pierre-Ettiene. Founded in 1998, IDS Refrigeration Limited originated from a joint venture between Rhodia and its European distributor, the Dehon Group. Things have certainly moved on since then, having sold just a few different refrigerants in 1998, now stocking well over 30.